Hello friends! It has been some time since we have posted on the Scott’s Liquid Gold blog. The last few months have been very busy and very exciting. We have been preparing for 2011, a year full of Golden events and opportunities. 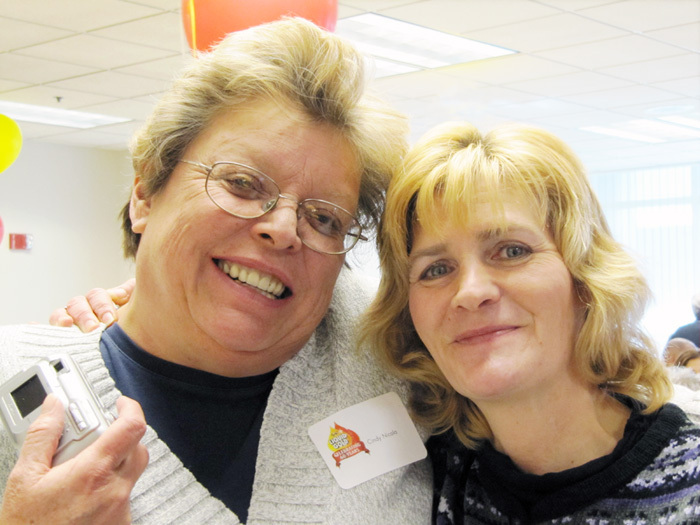 On April 4, 2011, Scott’s Liquid Gold proudly celebrated 60 years in business! Coincidentally, it was also the 55th birthday of our President and CEO, Mark Goldstein. If that were not enough, it was also Scott’s Liquid Gold Day in the City and County of Denver! We had all the makings for a very special triple celebration. As a small American manufacturer, these are amazing milestones for the company and its 65 employees. To celebrate this important day, we had a party for all our employees, family members, vendors, suppliers and service providers. 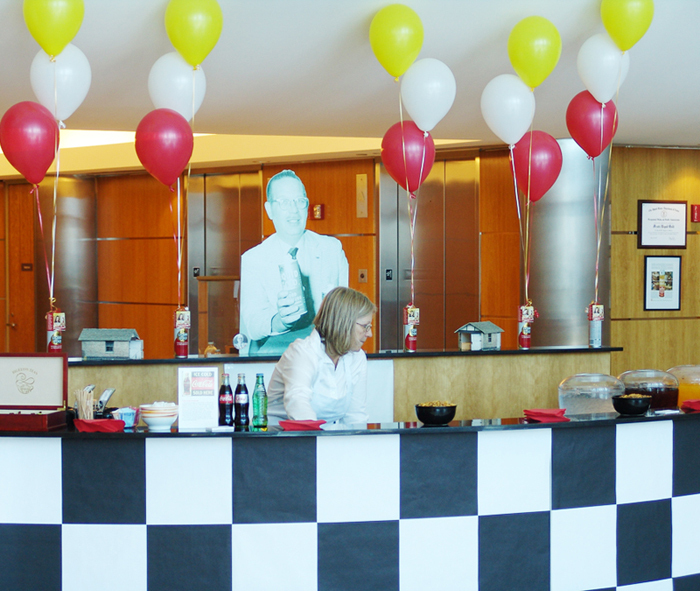 Liquid Gold was founded in 1951, so it seemed only fitting to have a 1950’s Diner theme as our backdrop. The DJ played lots of “Oldies but Goodies” while guests enjoyed little vintage bottles of Coca-Cola and Silver Dollar hamburgers. 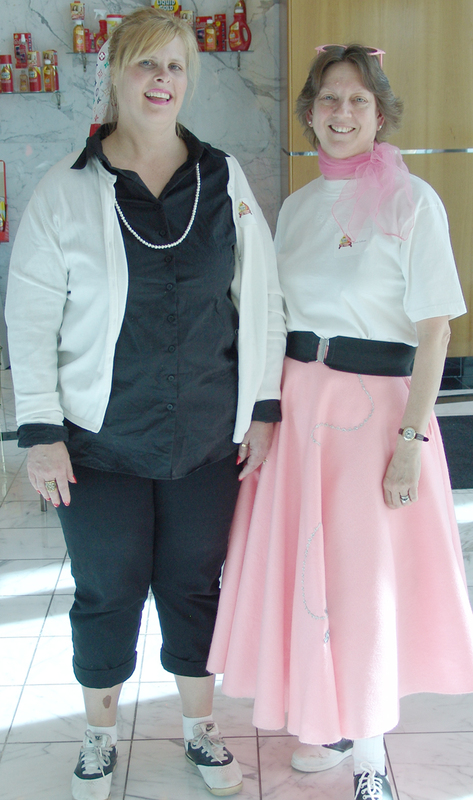 To add a little flair, some of our employees even dressed in saddle shoes and poodle skirts. Heidi and Jo-Ann bring the 50's to life! A staple in American homes for more than three generations, there is a good chance you have a can of Scott’s Liquid Gold under your kitchen sink. Happy 60th Anniversary to Scott’s Liquid Gold! This entry was posted in Retro, Scott's Liquid Gold, Uncategorized and tagged 60 years, American, anniversary, celebration, Family, manufacturing, oldies.vintage, opportunities, Scott's Liquid Gold, special, wood, wood care. Bookmark the permalink.